Zest 6 lemons, then juice. Remove seeds . Add water to make 1 cup of liquid and zest. Beat whites of 6 duck eggs until fluffy, set aside. Beat yolks with 1 1/2 cups of honey, 1 cup of softened butter, 3 tsp of vanilla, and then beat in lemon juice/zest. Add 2 cups of organic whole wheat flour and 3 heaping teaspoons of baking powder. Beat with the yolk mixture until smooth. Do not overbeat. Fold yolk mixture into beaten whites lightly. Pour into a pan (no greasing or dusting necessary). I use a rectangular pan or 2 round pans. This cake is too heavy for a spring form or tube pan. Smooth batter lightly to edges. Bake 45 minutes at 350 F. Cool and enjoy. 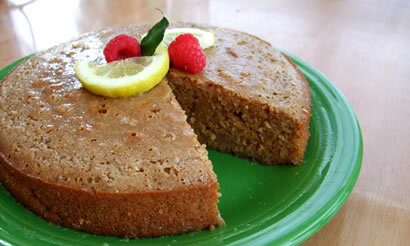 It would be wonderful with a cream cheese and honey frosting or lemon curd or both, but I enjoy it plain. Enjoy! You can roast the less expensive, least tender cuts this way and serve the most delicious lamb you will ever taste. 5 pounds of lamb, may be bone in or pieces. 1 head of garlic, maybe 10 cloves peeled but whole. Prepare lamb if necessary. I wash my meat quickly. 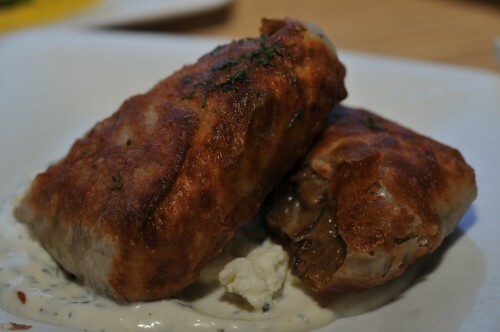 Use heavy gauge tin foil to make a packet and put meat inside. Salt and pepper it, sprinkle with rosemary and stud it with cold butter bits and the whole garlic. If you are using a shoulder roast, poke holes to insert the butter and garlic (sharp knife). Wrap the meat into a tight package to seal in the juices and place in baker. Cover and roast for 5 hours on 285F. Longer is fine. I have put this in at night and let it go 8 hours. Just be sure it is sealed. 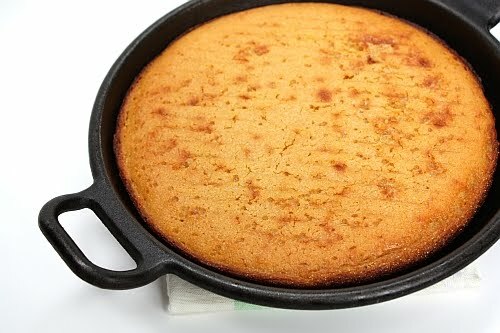 This is a rich, sweeter cornbread for those who are not rhubarb fans. The mix of the butter and cornmeal with the rhubarb is really a great taste sensation. Generously butter large pan and set aside. Chop rhubarb and measure 4 cups. Add 1 cup of water and boil 10 to 15 minutes until tender and falling apart. Set aside to cool. When cool, strain juice and keep for making jelly or drinking mixed with mineral water. Mix eggs, soft butter (or just melted), buttermilk, flour, cornmeal, baking power, salt, sugar together quickly until blended. Do not overmix. Add cooled rhubarb (strained) and fold in gently, just to distribute evenly. Pour into hot pan and bake 40 minutes or until knife comes out clean, depending on the depth of the pan for timing. Enjoy warm or cold. Yummy. 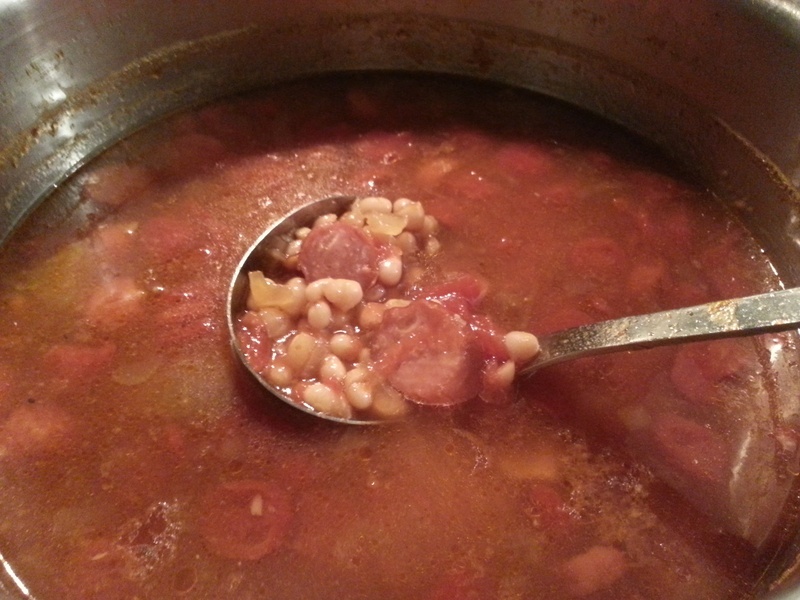 This is a great soup to leave simmering on the lowest setting of the gas stove while chores are being done so it is hot and inviting when hungry mouths come inside. Put the soaked, rinsed beans in a large pot. Cover them with enough water to fill half the pot and put on low heat to simmer. Add the onion, garlic, carrots, tomatoes, smoked sausage, chipotle peppers and simmer 4-5 hours. The aroma will fill the house to entice your senses. This is a delicious soup, hearty enough for a meal . Enjoy!